I went through a period in high school where getting into trouble became a team sport for my friends and me. That promptly led to my parents putting me on a friend diet. I’ll never forget my dad telling me who I could NOT hang out with, who I wouldn’t sit next to at lunch or in class, and who I couldn’t talk to in the halls. It was a “we are never, ever, ever, ever going to be friends again” kind of thing. Did your parents use any of these phrases? Change your friends; change your life. You will become like those you hang around. Want to know what your life will look like, look at your friends. No matter how much I hated it, my parents were right. The principle I despised as a kid proved to be true. 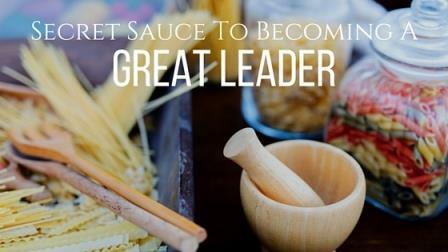 This principle is even truer in leadership and is the secret sauce to becoming a great leader. If you want to be a great leader, find a great leader you can learn from. So what do you look for in a great leader? Find a leader who understands the principles of leadership: whose office is a library supplied by Amazon 1-Click, subscribes to a host of podcasts, and probably has an overactive Audible account. Their insatiable appetite for learning and understanding the principles of leadership can NOT be put on a diet. You’re looking for a leader who has taken the failed or fallen and made it successful. Great leaders are shaped by years of practice and pain and have paid the price of leadership. They have burn holes in the tail end of their fire suits and have the scars to prove it. Look for a track record of building successful, high performing teams, and a love to execute with excellence. The world is full of leaders with big titles and huge egos, a “player” or “wannabe,” who can drop every name under the sun. Typically they’re insecure and threatened, which means they don’t, won’t, or can’t help you. You’re looking for someone who doesn’t need to toot their own horn; there is a deep and loyal following that will toot it for them. When you bring up their name, praise is the first thing out of everyone’s mouth. Find someone who has the coaching gene. Has both the skill and knowledge of how to teach you the ins and outs of leadership. Has a track record of creating other great leaders. Is willing to pay it forward. Great leaders don’t perceive themselves to be better than others. They’re humble—willing to share their time, struggles, and pain—they walk the road with you. The perfectly packaged person, that’s all buttoned up, isn’t who you’re looking for. You’re after the real deal—a leader living life in the open—transparent and available for you to watch. You will become like those leaders you hang around. Want to know what your leadership will look like, look at the leaders you’re following. Read The Five Levels of Leadership, by John Maxwell. It’s one of the top five books ever written on leadership and does an incredible job revealing where you’re at now and defining how to get to the next level. It has a great insights in how to find a great leader to learn from. You can get The Five Levels of Leadership here.